This is a fashion-forward choice. 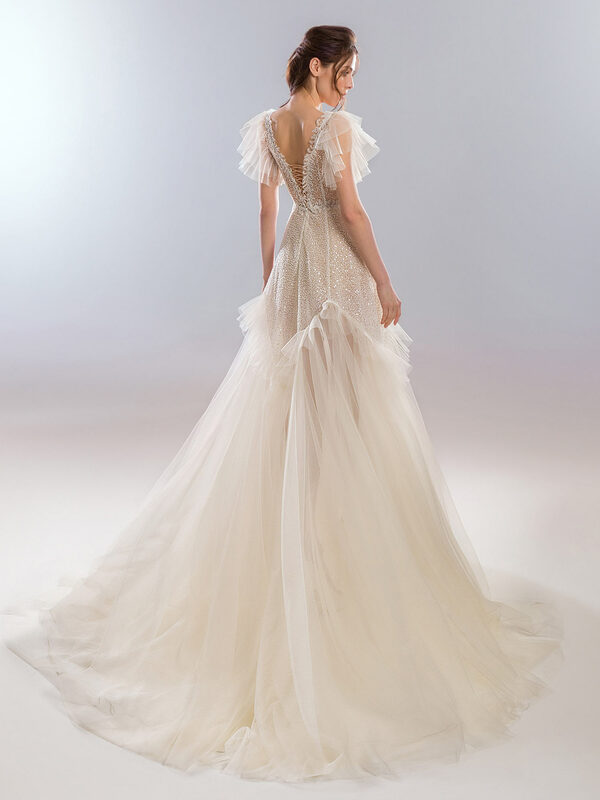 An A-line wedding dress with deep v beaded bodice and ruffled flowing sleeves that have multiple layers. The sequinned beading continues from the bodice down onto the skirt before a ruffle creates a transition to the tulle fabric. The bodice also features flower applique and a tie up back.